As I sit here typing this post, I’m reminded full well just how debilitating food allergies and intolerances can be. I’ve been suffering from a food intolerance attack since lunchtime and I’m not quite sure what triggered it, as I’m very careful with my diet, avoiding foods that will trigger my fructose/fructan intolerance symptoms. I also have a number of true allergies but my food ones are mainly ruled by a type of red food colouring and a severe allergy to mould (blue cheeses are off-limits and hard cheeses are an issue). I didn’t realise just how many recipes had flooded the internet for low allergy cakes and treats that accommodate people with multiple allergies. It’s not hard to accommodate one but three or four? Mothers across the globe have met this challenge with aplomb. It seems the two biggest challenges, not surprisingly, are how to make cakes without eggs, dairy or nuts that will rise and have a good crumb and have great flavour. So you don’t feel like you are eating a poor low-allergy cousin to what should have been cake. I had started by looking through some of the recipes I had created years ago when I was having to spend long periods of time on elimination diets (no fun!) and needed to cheer myself up with something tasty as a reward for my forebearance. This is where I ended up. I thought about using funky ingredients I’d seen others use online, but eventually settled on the sort of thing I tried years ago and refined it. Now, for anyone who cannot have wheat and/or gluten, you can make these wheat and gluten-free by substituting the wheat flour with a good quality gluten-free flour. You could even use corn or potato flour to give a really light texture. They are vegan by default. Also, if you have an allergy to olives, you can easily substitute another light vegetable oil that you know is safe to use. If not, I have found olive oil gives the best flavour and texture. Just a personal preference. 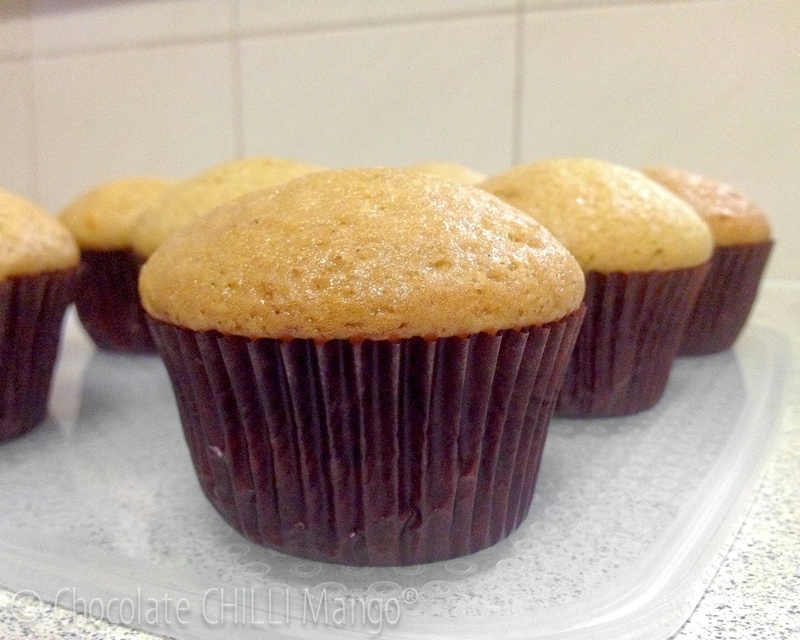 These cupcakes are very similar to a butter cake in texture, with a light, moist, and tender crumb and a slightly sweet flavour. 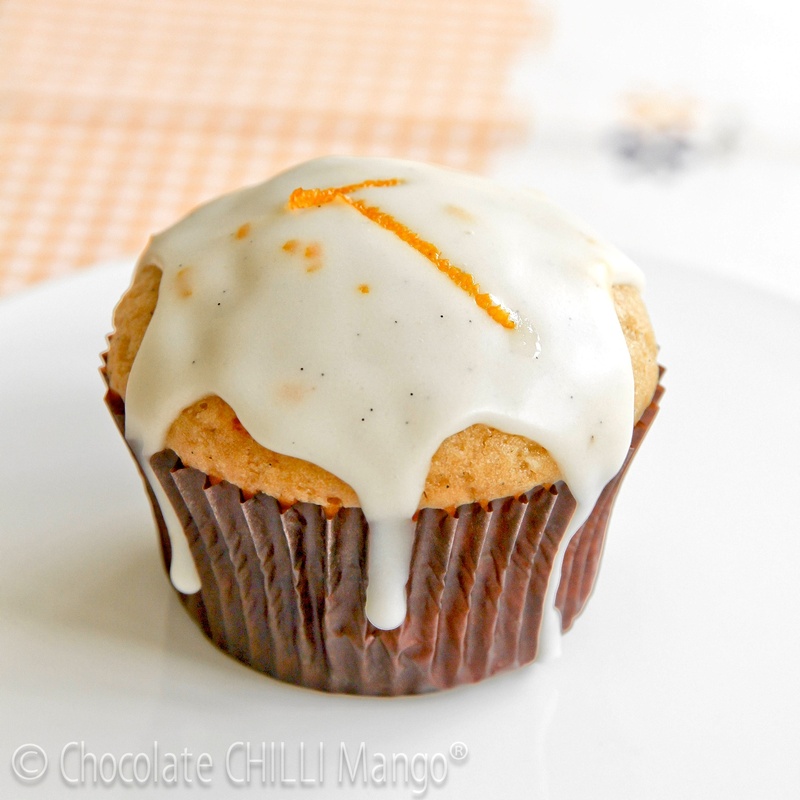 I opted to make these with vanilla and orange as the vanilla is suitable to pretty much everybody’s taste and the orange adds a lovely fresh sweetness. You can see the flecks of vanilla throughout the cake and icing. I love that, but if you prefer your icing to be totally white, use a liquid extract instead. You can also bake these as one large cake or double the recipe to make cake layers that you can frost for a birthday. My mum actually suggested the caramel chocolate frosting would be great layered with the cake. Just double the frosting recipe to sandwich and cover the cake. Or, if you can find soy cream, make a ganache with soy cream and allergy free chocolate and how fab would that be? 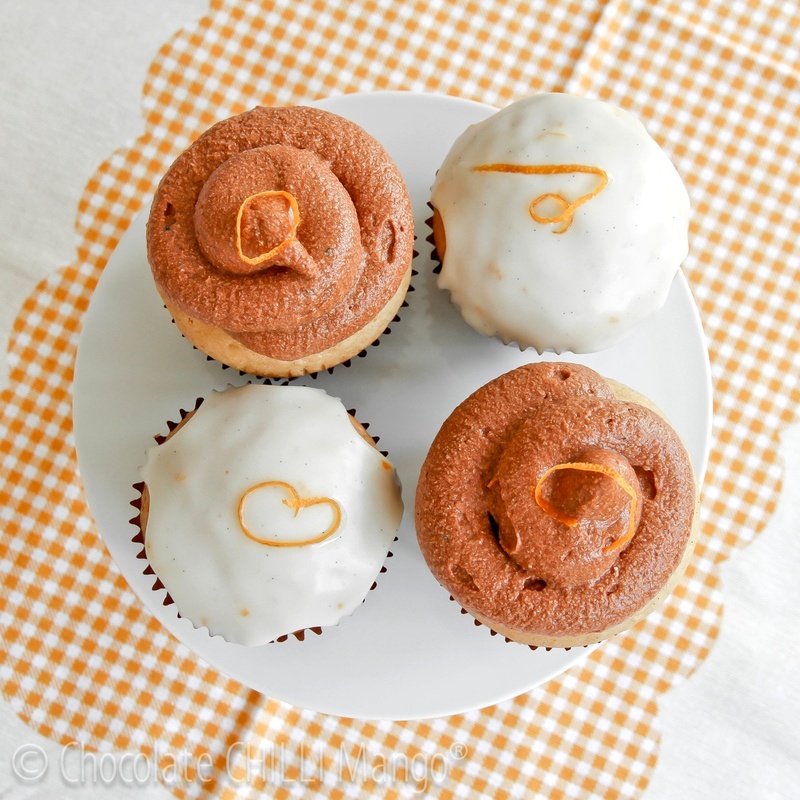 The truly wonderful thing about these cupcakes is that you can easily adapt them to accommodate a range of flavours, within the bounds of any allergies for which you need to allow. I’ve given a few suggestions below for variations but really, the sky’s the limit. I tested these on my parents. Why? My mother is a no-holds-barred critic and won’t hold back if they’re rubbish! My father is the perennial sweet tooth and likes proper sweets, not that other stuff. Ha ha and rolls eyes. Neither of them have food allergies and so it was a good test to see if these cupcakes could pass muster with those that don’t have to make do. Preheat the oven to 180℃. Line a 12-cup muffin pan with cupcake liners. Sift the flour with the baking powder and bicarbonate of soda into a large mixing bowl. Add the sugar and orange zest and mix well. In a smaller bowl or jug, mix together the water, oil, vinegar and vanilla. Add the wet ingredients to the dry and beat on low to medium speed until well mixed. Divide the batter between the cupcake molds, filling them about 2/3 full. Bake for about 25 minutes until well risen and golden. Do not over bake. They are cooked when a light tap on the top of one results in it springing back. Alternatively, you can use a skewer to test for doneness. It should come out clean. If baking as a cake, allow extra time for baking. It will take about 45 minutes or so, but keep an eye on it. Remove from the oven and allow to cool completely on a wire rack before icing or frosting. They will keep for several days if stored in an airtight container in a cool, dry place. Storage for frosted cupcakes will depend on the frosting or icing used. 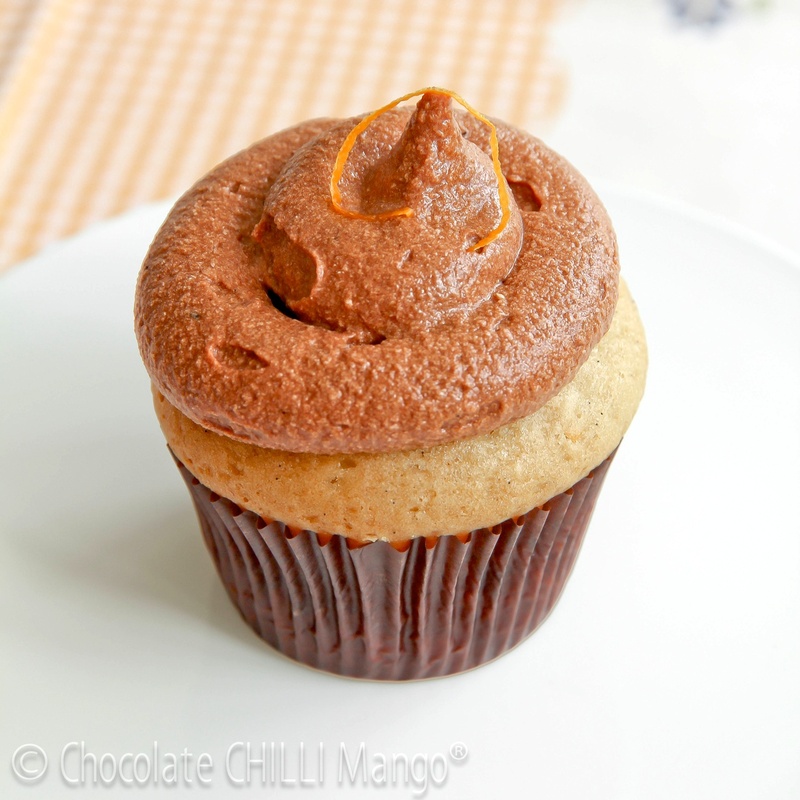 For the simple icing, as per the recipe below, they can be stored at room temperature. If using the caramel frosting, they should be stored in the refrigerator. Let them come to room temperature before serving, in that case. Chocolate: substitute 60 grams of unsweetened cocoa for the equivalent amount of flour in the recipe. For a richer flavour and texture, melt 100 grams of allergy-free dark chocolate (such as Sweet William). Let it cool slightly and add to the batter at the end. Beat until smooth and proceed with the recipe. Fruit: fold in some diced fruit of your choice to the batter at the end of mixing, or add some pureed fruit in place of some of the water. 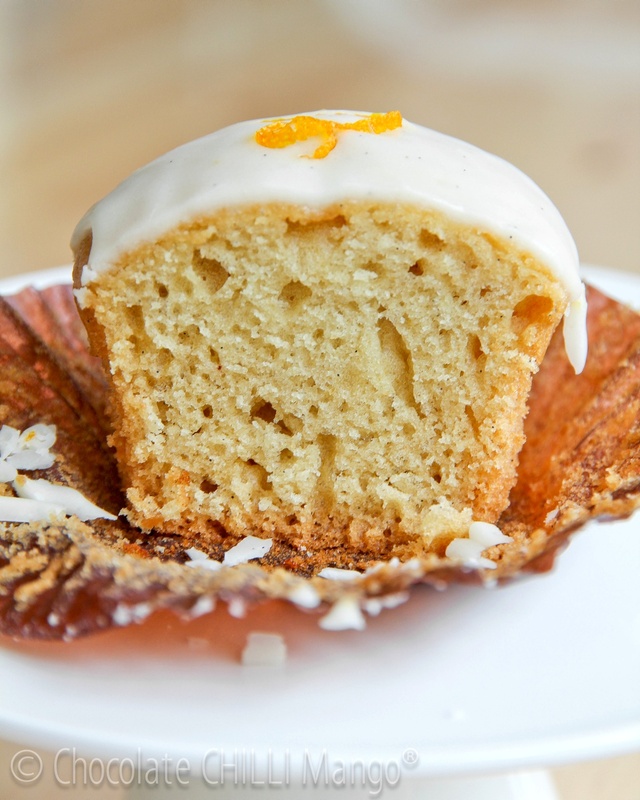 Citrus: You can use lemon juice in place of the vinegar for lemon cupcakes for extra flavour, and add an extra tablespoon or so of citrus juice (lemon, lime, tangelo, mandarin, yuzu, etc) and the grated zest of one or two citrus fruit to the batter. Make an icing or frosting to match. This also goes really well with a white chocolate version or a fruity version. Here we are, fresh out of the oven. Yes, we have lovely high domes! Sift the icing sugar into a bowl, making sure there are no lumps. Add the orange juice, grated zest, and vanilla. Whisk until creamy. Chocolate: Add a level tablespoon of sifted unsweetened cacao to the icing sugar before adding the liquid ingredients. Citrus: Substitute tangelo, lemon, lime, mandarin, kumquat, or yuzu for the orange in the recipe and omit the vanilla as optional. This salted caramel and chocolate frosting recipe was a bit of an experiment. I wondered if I could use a soy-based cream cheese to make a delicious frosting that was similar to a cream cheese frosting in texture. The challenge is to mask the soy flavour of course, which can be quite overpowering. I found a brand that has a good flavour and is nut and dairy free, but had to adapt the recipe a little as I could not find the soy butter they also make. You can use whatever frosting you like. I thought caramel with a little chocolate was a good way to include a more grown up flavour combination that appeals to most people and it also totally masks the soy flavour! Caramel and chocolate are magical. I perfected it a bit after making it again and so have included the recipe that gives a smoother result here. Beat the soy cream cheese in a mixing bowl until smooth and creamy. Set aside 60 grams for the caramel. Add the icing sugar and vanilla to the remaining cream cheese and whisk until smooth. Melt the chocolate in a microwave or in a heatproof bowl over hot water. Stir until melted and smooth. Set aside to cool slightly as you make the caramel. Place the sugar in a stainless steel saucepan over a low heat. Heat gently and stir with a spatula, only moving the sugar gently to make sure it doesn’t stick or burn on the base. It will melt and start to colour. When it reaches an amber colour, add the reserved sixty grams of cream cheese and the salt. Stir well until creamy and fully incorporated. Set aside to cool slightly. When the chocolate and caramel are just warm, add to the cream cheese and whisk gently until smooth and shiny. Keep whisking until it thickens slightly. Refrigerate to thicken and set to a piping consistency. 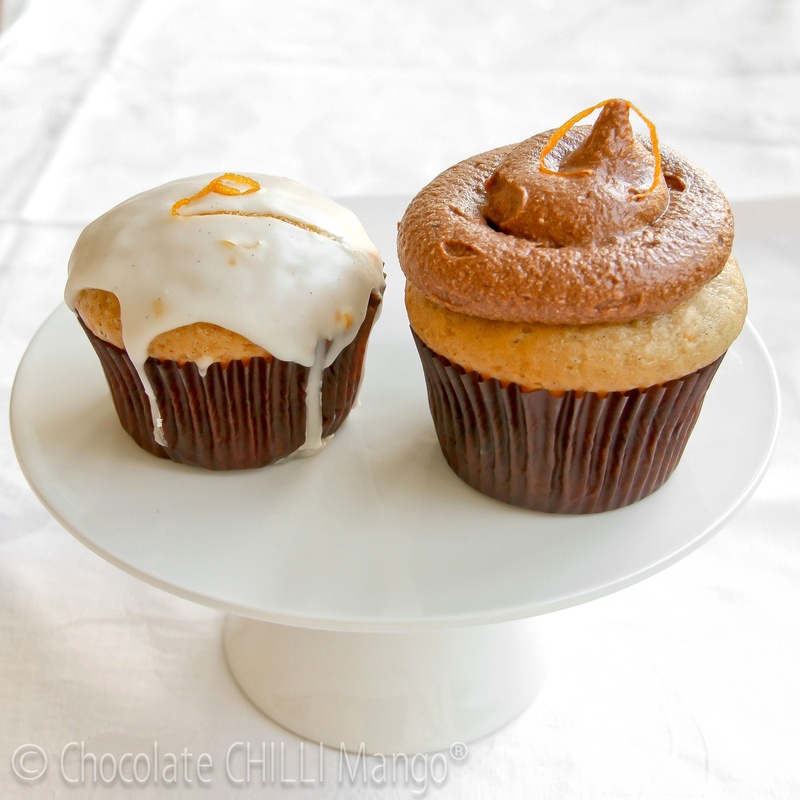 When ready to frost the cupcakes, fill a piping bag fitted with a plain or decorative tip and pipe on to each cupcake. top with some strips of orange zest, some toffee, or allergy free chocolate chips. Store the frosted cupcakes in an airtight container in the refrigerator. Bring to room temperature before serving or just eat them straight from the fridge!